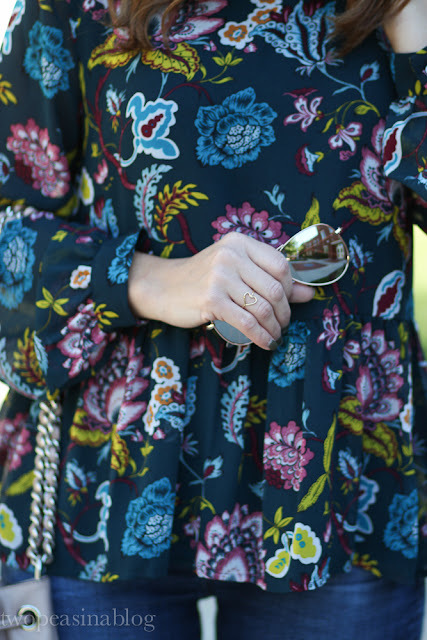 Pretty florals are still around for Fall. This one is bright and colorful, but with Fall hues! I will always love wearing a great floral, no matter what season it is. Lucky for me, Fall florals are big right now. This blouse is a beautiful dark teal color and it has a cute peplum detail!! The print also comes in a dress and a skirt. When it gets colder, I think this will look beautiful layered under a cardigan, like this one. Be sure to join our link up party below! 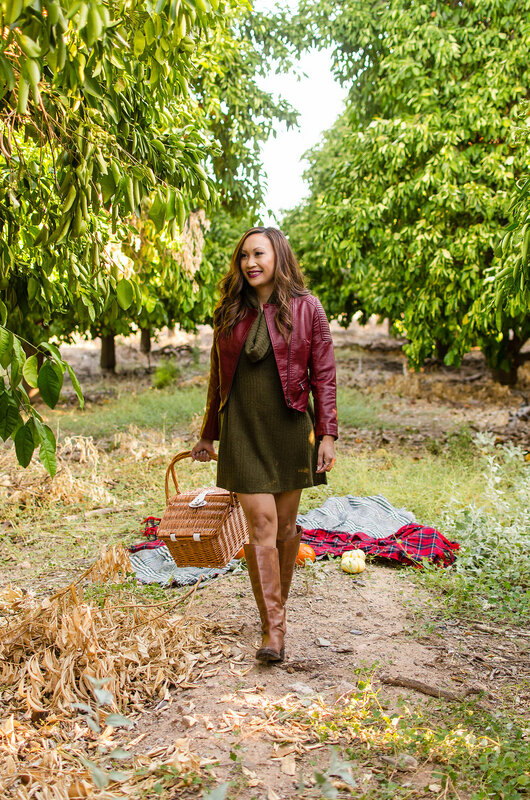 This week's feature blogger is Melissa from Stylista Fitness. We can't get over her gorgeous combo here of olive green and burgundy! What a perfect Fall look. 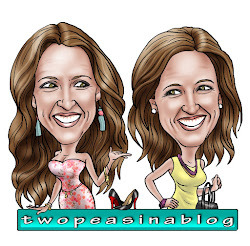 Be sure to check out Melissa's blog for more inspiration. Now for this week's link up. 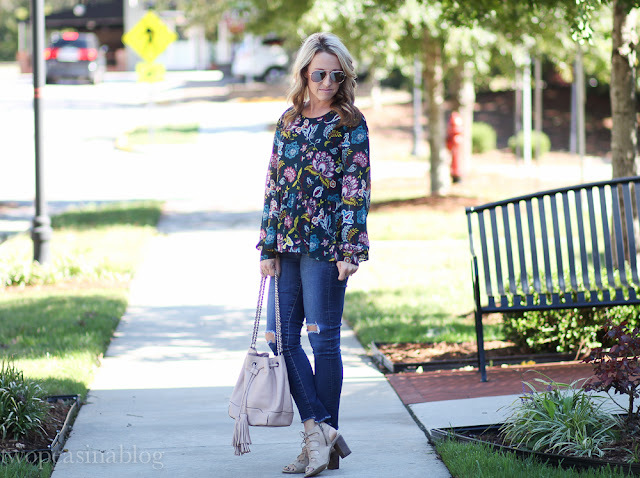 Fall florals are where it's at this season! This is one of the prettiest prints I've seen and you look absolutely darling as can be! That is the prettiest top!! 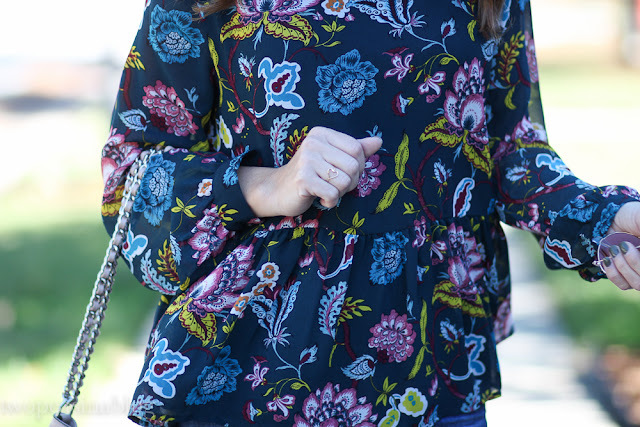 I love the dark florals and the peplum cut! Such a pretty top! I adore that pretty top! It needs to get in my closet now! It's a perfect top---but I'm really loving on the shoes!! 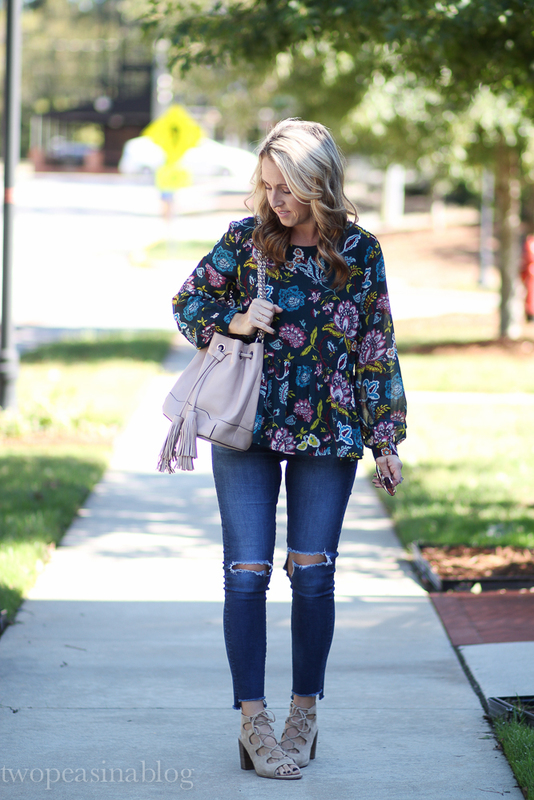 Such a pretty fall top! Such a cute top, perfect for dressing up or down. Have a good Tuesday ladies! I <3 a good floral print!!! Pretty top. Loft does a good job with floral patterns. Thanks for hosting. Very pretty moody floral top with peplum detail! Great styling keeping shoes and bag neutral. Thank you so much for the feature! I am loving floral everything right now too. This top is so pretty! I love the cut, pattern and color. How cute is your bucket bag?? Gorgeous!